I am pleased to inform members of the School of the Arts, Media, Performance & Design (AMPD) and the York community that the search for dean of the School of the Arts, Media, Performance & Design has reached a successful conclusion. The search committee was established in 2018, comprising faculty, staff and students from AMPD as well as a president’s designate, and chaired by the provost and vice-president academic. This is a crucial time in the school’s development as it continues to build on historic strengths while responding to emerging developments impacting the field and expanding in areas such as digital media and computational arts. 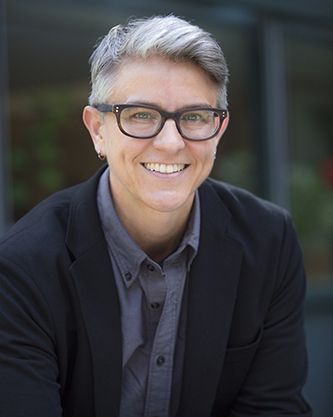 Following an extensive national and international search, which attracted outstanding candidates, the search committee recommended the appointment of Professor Sarah Bay-Cheng to the position of dean. I am very pleased to announce that Professor Bay-Cheng has accepted our invitation to take up a five-year term as dean, commencing July 1. On my recommendation, on Feb. 26, the Board of Governors concurred with the recommendation for the appointment. Professor Bay-Cheng has worked across a range of disciplines and institutions in her career, both in the U.S. and further abroad. She will join York University from Bowdoin College in Brunswick, Maine, where she is a professor of theatre and dance, and has served as Chair of the department since 2016. As Chair, she leads an interdisciplinary unit and has been successful in growing the department, recruiting and retaining a diverse faculty complement, introducing new programming, including the incorporation of experiential learning opportunities, and fostering links with arts and cultural communities. Prior to her appointment at Bowdoin College, Professor Bay-Cheng held appointments at Colgate University (2001-05) and the University at Buffalo (SUNY) (2005-15), where she was the founding director of the Technē Institute for the Arts & Emerging Technologies in the College of Arts & Sciences, providing a hub for the arts at the university. In this capacity, she promoted collaborations with other Faculties and local and regional partnerships to integrate the institute’s work into communities in the Buffalo Niagara Region, thereby expanding local arts and media festivals and highlighting the arts in Buffalo. While at Buffalo, she also developed and administered innovative new graduate programs in theatre and performance studies, offering the first integrated, practice-based research model for theatre and performance studies in the state. Professor Bay-Cheng holds an AB degree in theatre and film studies from Wellesley College and a PhD in theatre, as well as a certificate in film and video studies, from the University of Michigan (Ann Arbor). She is an internationally known and respected scholar at the forefront of performance and media studies. Her research explores intersections across these areas, including histories of cinema, social media and computer technology in contemporary performance. She brings to her work perspectives on the arts and media in western Europe, as well as international collaborations gained in part through a Fulbright Fellowship at Utrecht University in 2015. I look forward to welcoming Professor Bay-Cheng to York University as dean of the School of the Arts, Media, Performance & Design, and to working with her in the coming years as she undertakes this important role in advancing AMPD as a leading school of the arts and design in Canada and internationally. I know that all members of the school and the University will join me in congratulating and welcoming her. I would like to express my deepest appreciation to Professor Norma Sue Fisher-Stitt for the outstanding leadership she has provided to AMPD as its interim dean for the past two years, and for her dedication to the school and the University. She has fulfilled several academic administrative roles over the past number of years and continues to make a significant impact on advancing York’s vision. Finally, I would like to thank the members of the search committee for the dean of AMPD for their contributions to this important process.